We carry several varieties of Boiron as well as Homeopet Homeopathic Remedies that can help you and your pets! Homeopathy is based on the principle of similars—that “like cures like,” and helps stimulate the body's natural healing process. 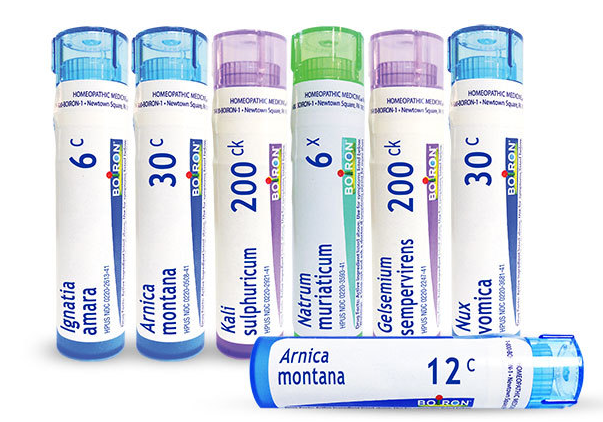 Homeopathic medicine can also be used for just about any problem including Allergies, Yeast, Joint issues, Arthritis, Anxiety, Grieving, Motion Sickness, Tick-borne illnesses, Nausea, Diarrhea, Bites, and Stings, and pretty much any other problem that may arise! Homeopatic medicine is the safer way to fix may ailments without the use of toxic drugs or chemicals and can be used for Humans as well as Pets.